SAMPLE SOUND REVIEW: Cloud Atlas Freebie for OMNISPHERE 2 & EPIC Season Pass- by Triple Spiral Audio ! 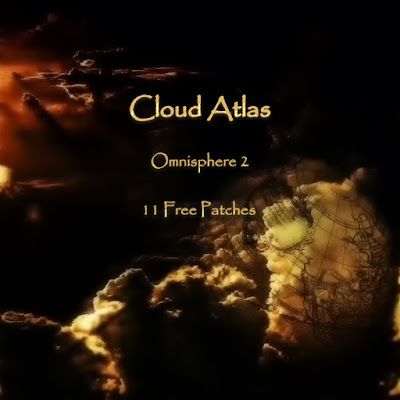 Cloud Atlas Freebie for OMNISPHERE 2 & EPIC Season Pass- by Triple Spiral Audio ! Triple Spiral Audio Presents Freebie & Season Pass Deal! Inspired by the famous book by David Mitchell, Cloud Atlas for Omnisphere 2 takes you on a journey filled with mysterious leads, haunting basses, lush and evolving analog pads, neo-futuristic and dystopian soundscapes and raw and tribal arpeggiated sounds. This soundset is created with new soundsources from original recordings of a variety of synths (ARP Solina SE IV, Roland D50 and super jv-1080 to name a few), from my custom modular setup and as well several custom created soundscapes from different guitar and woodwind recordings mangled in different ways through a variety of amps, effects and modules. In total there are 200 presets and 30 multis and this time they are categorised and tagged according to the Spectrasonics setup. Owners of the Season Pass get 50 extra bonus presets and 10 multis. As introduction a freebie is now available with 11 free patches and 14 new soundsources and Triple Spiral Audio hopes you will enjoy it! Season Pass will give you access to all new releases from the period June 2018 till June 2019. These soundsets and libraries will be yours as you buy a regular soundset or library and the same conditions applies as with regular releases. With this Season Pass comes also for the full extend of this period a “not good, money back option”. Here a list of what is currently being developed or is on the planning for the upcoming year. These soundsets and libraries are guaranteed to be released and included in the purchase of this Season Pass. The releases of new packs for the Empty Fields F.2 and F.3 series are not included and only available if you purchased one of these soundsets before. The estimated value of all of these soundsets and libraries will be roughly €475,00 (can be a bit higher, not lower) and with this Seasonal Pass you will have a great discount of around 40/50%. 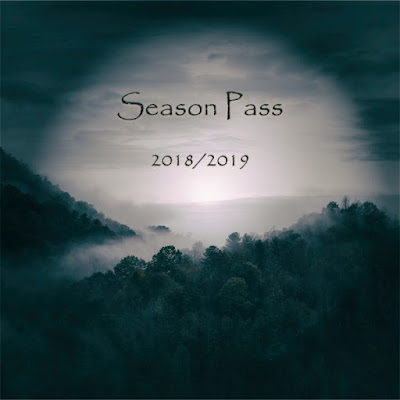 The Seasonal Pass is only available for purchase till the end of June. Cloud Atlas – Inspired by the famous book by David Mitchell, Cloud Atlas for Omnisphere 2 takes you on a journey filled with mysterious leads, haunting basses, lush and evolving analog pads, neo-futuristic and dystopian soundscapes and raw and tribal arpeggiated sounds. This soundset is the first to be released (June 2018) and I plan also an update when the new Omnisphere 2.5 is released. Heroes – This soundset is a tribute to one of my biggest musical inspirators, David Bowie. A soundset with a focus on experimental analog sounds. The Ancient – the painting the Ancient of Days by William Blake inspired me many times for my music. Now I use it as inspiration to create a soundset which explores a rich sonic pallet with both divine and dystopian sounding analog sounds. Moondust – this soundset will be aimed towards the more darker and cinematic type of music with new and fresh source material from various electrical guitars being recorded for this set.